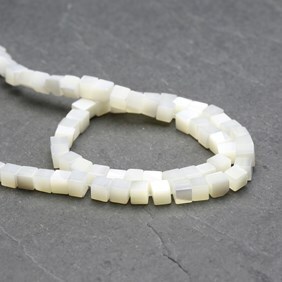 Make elegant designs with mother of pearl gemstones, fall in love with its brilliant pearly lustre and discover the many variations available to make your designs stand out from the rest. Shop our range of mother of pearl cabochons and beads in a range of colours and shapes, including pink and black lip pearls to use in your jewellery designs. Mother of pearl is the common name for the iridescent 'nacre' that forms inside the lining of the shells of abalones or oysters. 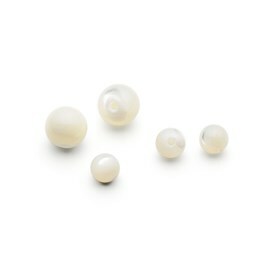 It is more common than pearls and is found worldwide, it is caused by calcium carbonate which creates an extremely silky texture and iridescent appearance. It is mined in many regions including Japan, Australia, Europe and the USA. It measures 3.5 on the Moh's hardness scale. 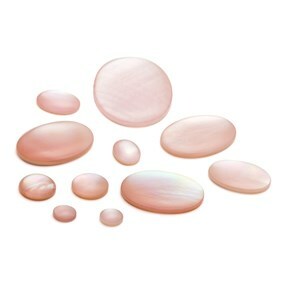 At Kernowcraft we have a lovely selection of mother of pearl gemstones, including our popular mother of pearl cabochons also available in pink. 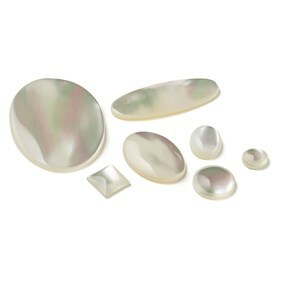 We also have mother of pearl half round beads which would be perfect for using in earrings or pendant designs. 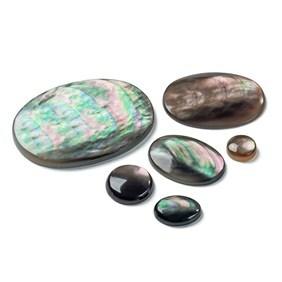 Not to mention our black lip pearl collection available as cabochons and beads. 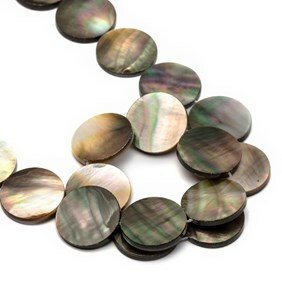 Mother of pearl is perfect for both men's and women's jewellery and is popular to use in wedding jewellery. 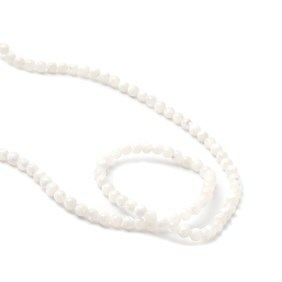 Mother of pearl is said to attract prosperity and protect from negative influence.